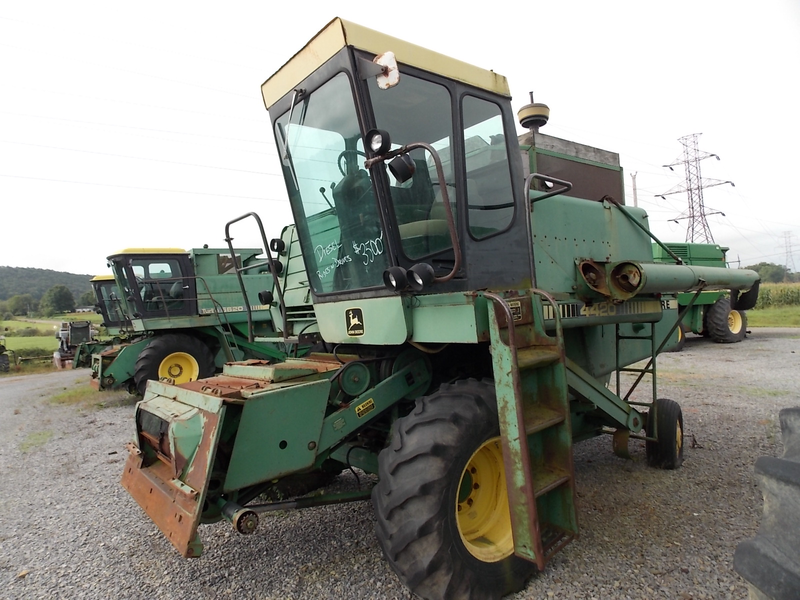 This smaller combine for sale can be the perfect piece for the small farm.The John Deere 4420 combine is a walker machine, perfect to do small grain, soy beans, and corn. Overall, this combine is in decent shape mechanically. It just needs a good home to go to and tinker on it. The 4420 is the best size to work on in the small shed. Breathe life into this old girl for us! We have the heads to go on this combine. You can add a Grain Head or Corn Head for the best prices! We have a full selection of heads, including great JD 213 and 215 flex and rigid grain heads. In stock are John Deere 443 corn heads (4 row narrow) and JD 444 corn heads (4 Row Wide) that would work great on this combine. Get what you need to get into the field as soon as possible. Trucking and Low Financing is available!